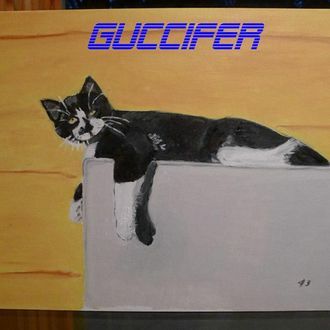 We will keep looking at George W. Bush’s paintings — admiring their clumsy beauty, studying them for hidden meaning — for as long as the bipartisan hacker Guccifer continues to leak them. 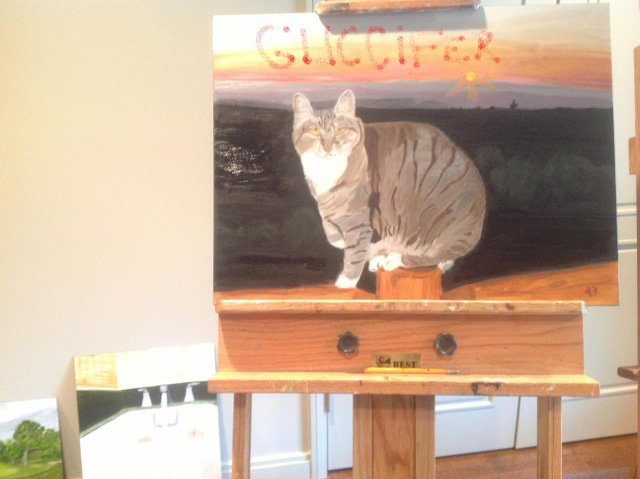 Today, Gawker published a cat painting by the former president, whose preferred subject is dogs — he is said to have painted at least 50 of them — though he has also done self-portraits, still lifes, and other animals, including at least two other cats. But this piece is bolder than its predecessors, in which the creatures were partially obscured by a houseplant or diminished by the prairie sunset in the background. Here the cat is front and center, its relaxed posture and curious-but-direct expression perhaps reflecting Bush’s increased confidence with the feline form. 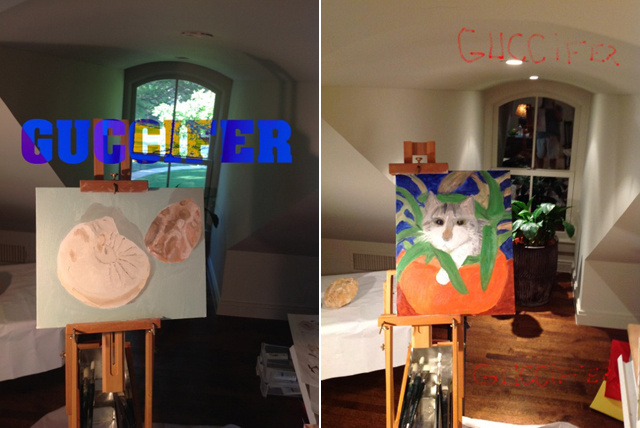 While we remain dog people, it is exciting to see our favorite outsider artist experimenting with something new. Just think of what it would have been like if he demonstrated this kind of open-mindedness when it actually mattered.